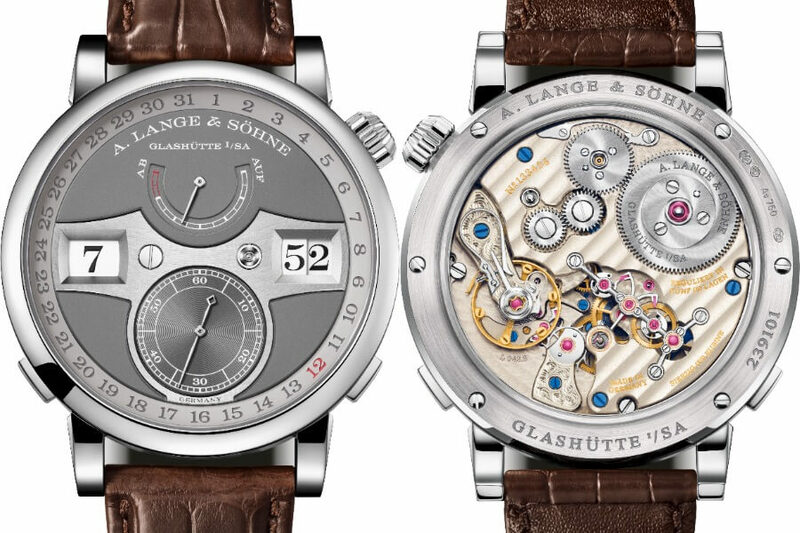 On the occasion of its tenth anniversary, Lange’s first mechanical wristwatch with a precisely jumping digital display is endowed with a new manufacture calibre featuring a remarkable extra function. The glass ring date of the Zeitwerk Date shows the current date in red. 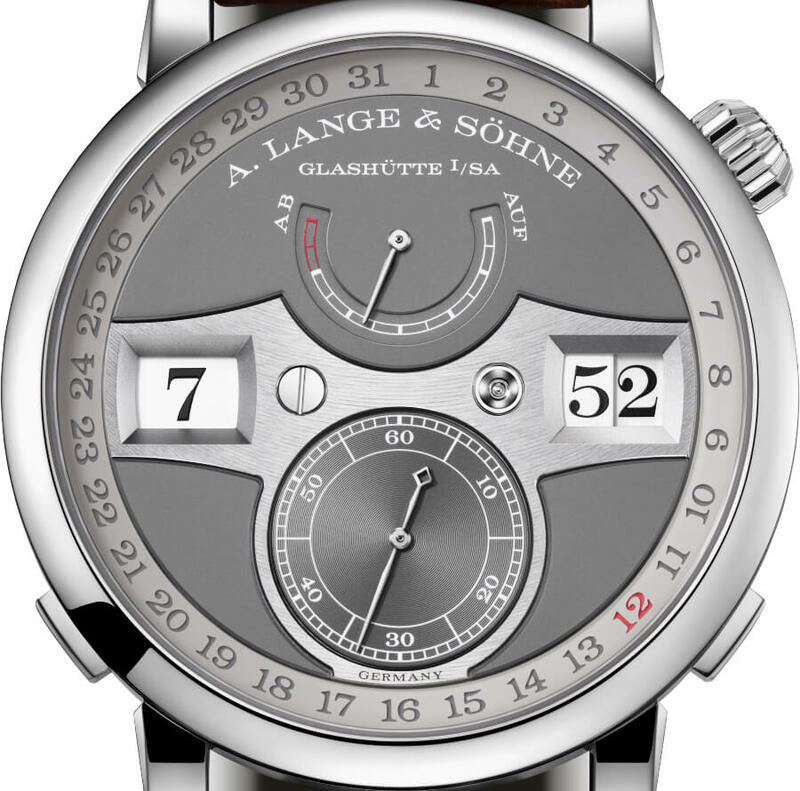 With the presentation of the Zeitwerk in 2009, A. Lange & Söhne started a new era in timekeeping. 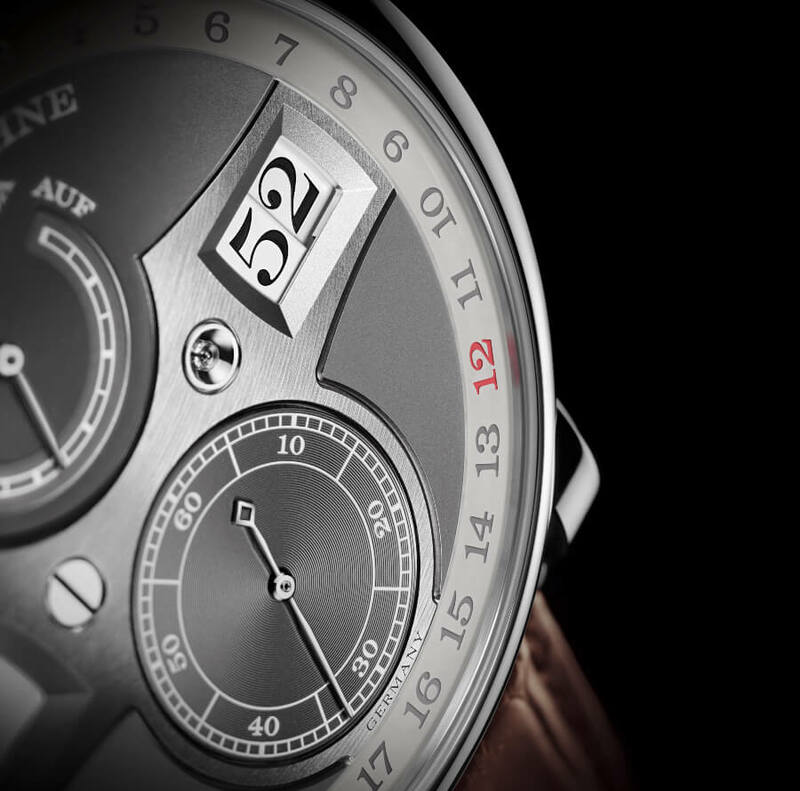 The prominent face and innovative concept of the first mechanical wristwatch with constant-force escapement and precisely jumping digital displays that indicate the hour and minute with jumping numerals have been commended with multiple awards. 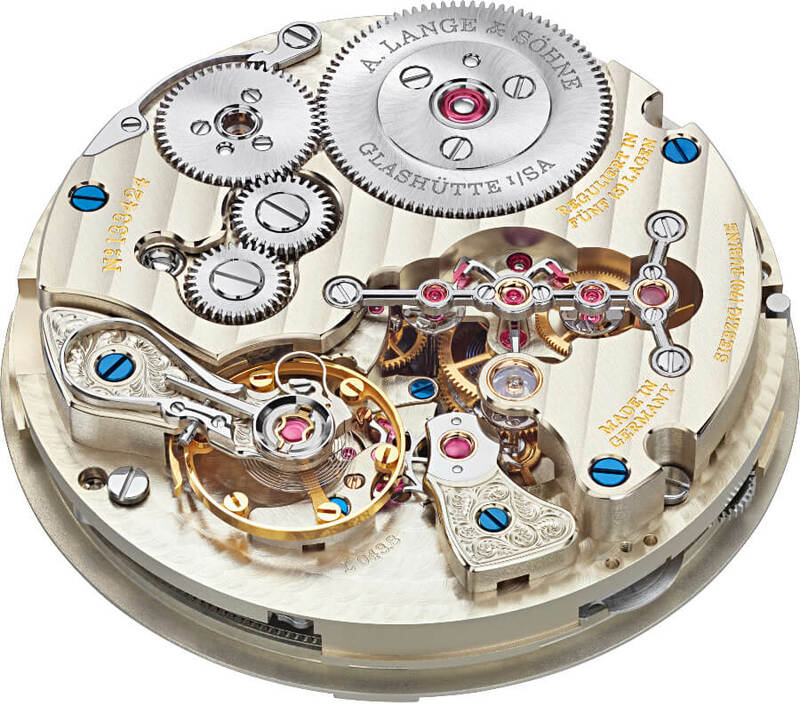 Within a fraction of a second, the unique mechanism advances the numeral discs, even simultaneously increment- ing all three discs at the top of the hour. Given the controlled release of the forces involved, the Zeitwerk is a genuine “time machine”. 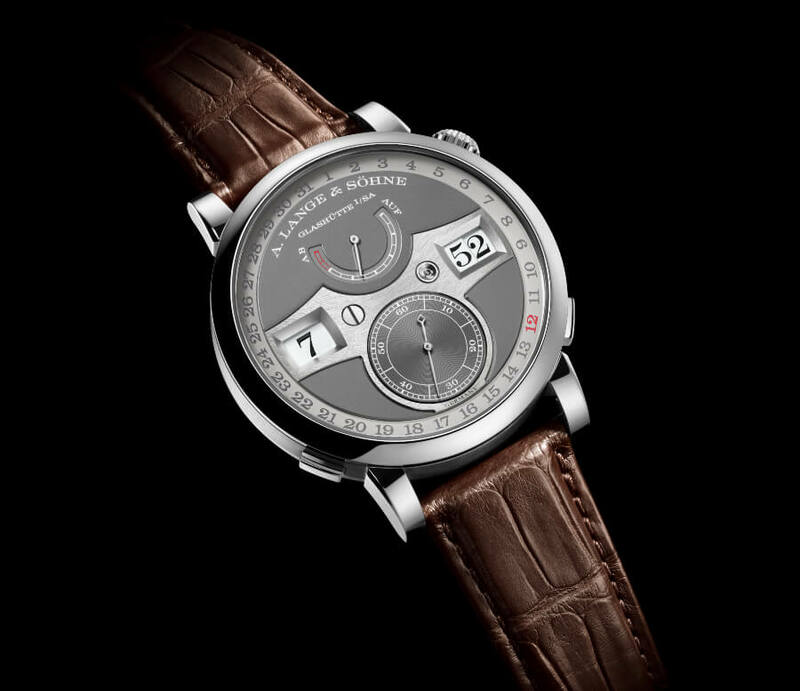 Ten years later, Lange’s mechanical digital watch welcomes a newly designed movement that incorporates an additional function: The ring-shaped date display, perfectly harmonised with the Zeitwerk design, circles the dial. 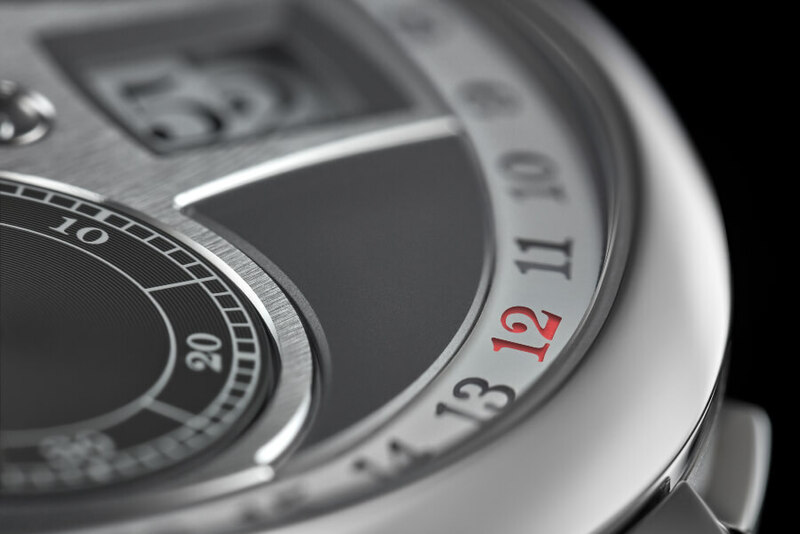 The Zeitwerk Date comes in a 44.2-millimetre white- gold case with a grey dial and a red date. The circumferential date ring consists of glass with printed numerals from 1 to 31. The current date is displayed in red. To achieve this effect, a small colour segment beneath the date ring performs one step exactly at midnight. So in the course of a month, it moves around the dial by one full revolution. With this arrangement, the date is always clearly legible at all times and also recognisable intuitively. The date display can be adjusted with the corrector at 8 o'clock; the switching impulse is generated when it is released. 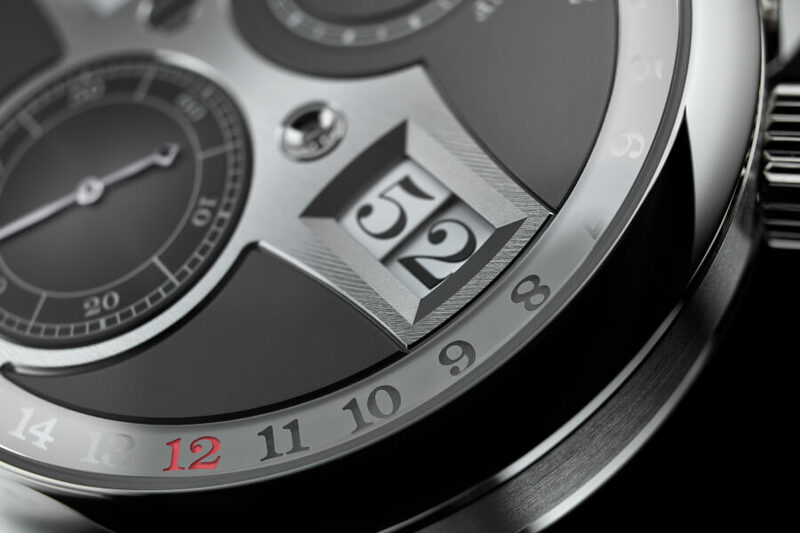 The technical innovations in the Zeitwerk Date include an additional button at 4 o'clock. It is used to separately advance the hour indication, thus solving a problem that originated in the date display in the first place. Since it calls for a time setting that is accurate to 24 hours, it would take too long to adjust the time via the crown – minute by minute. The integration of the hour button was associated with considerable design modifications. 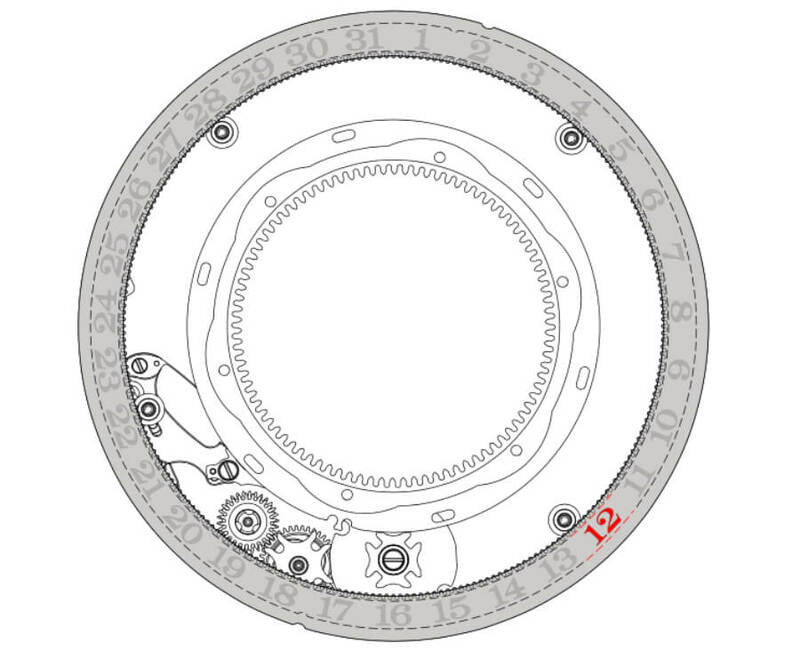 To enable the correction independently of the switching cycles of the movement, a clutch uncouples the hour ring from the jumping numerals mechanism each time the button is pressed. The switching impulse is generated when the button is released. 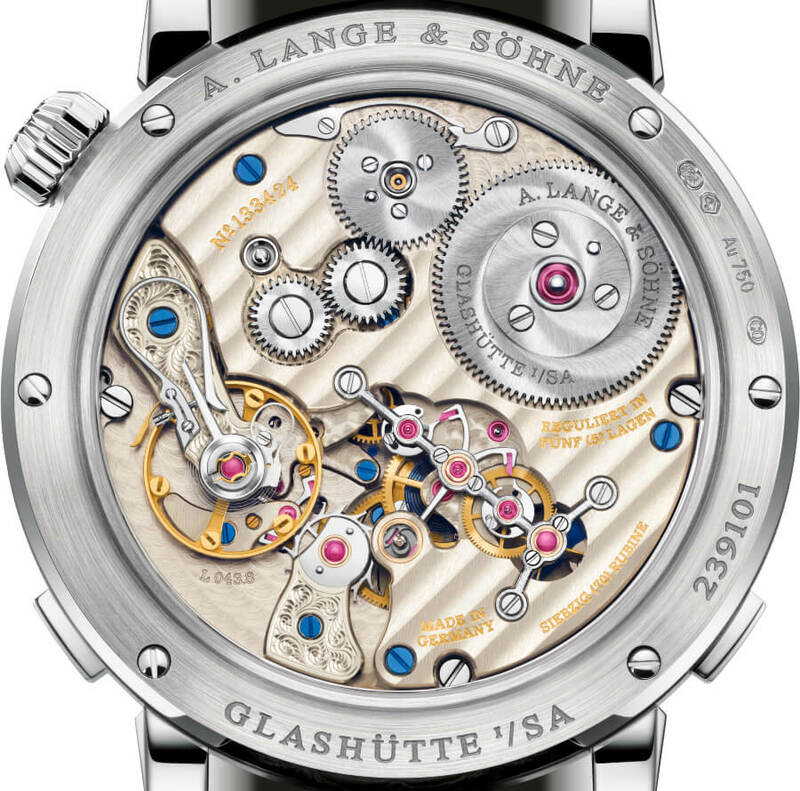 The new manually wound calibre L043.8 stands out with its clearly organised movement archi- tecture. What remains is the patented constant-force escapement that handles two tasks. As a remontoir device, it powers the balance with a uniform amount of force for the entire running duration. Additionally, it delivers the one-per-minute impulse for switching the three-disc jumping numerals display. 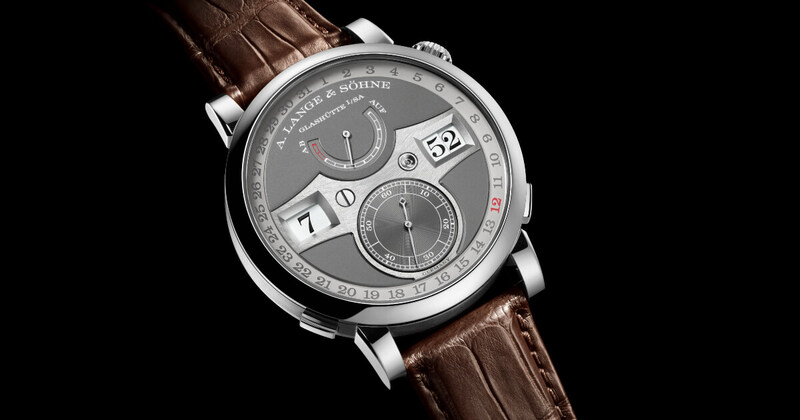 The price for the A. Lange & Sohne Zeitwerk Date is EURO 89,000.